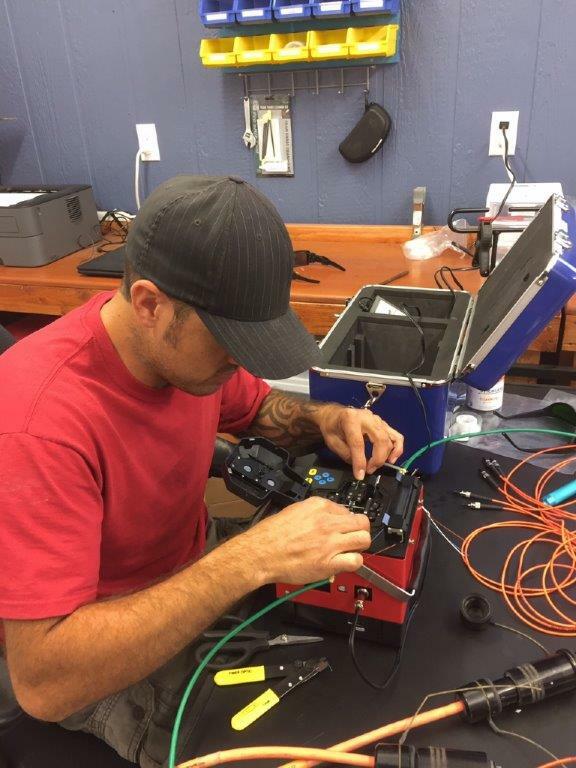 Splicing Fiber – Hartline Supply Inc.
Our Technician is setting up a broken fiber to be fusion spliced. 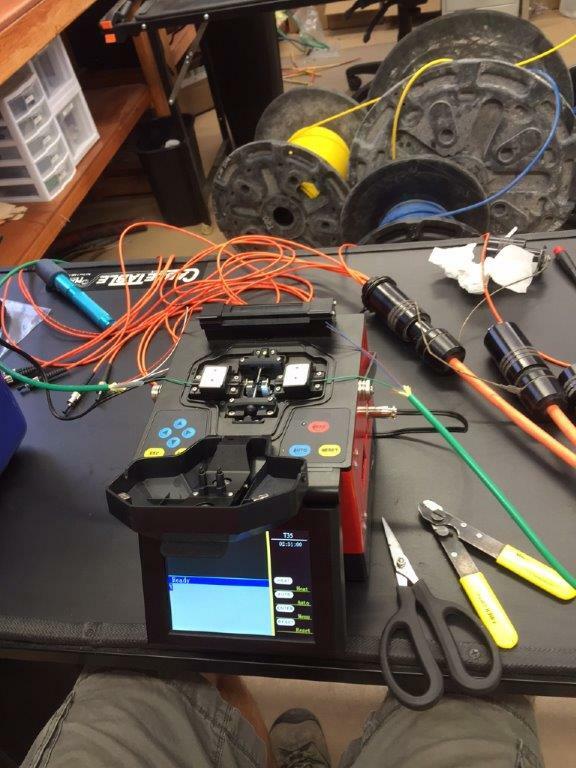 As many people, who are knowledgeable of fiber optics and fusion splicing know, the fusion splicer will splice two correctly prepared fibers together. It would be similar to splicing two hairs together. This picture shows two green coated fibers that have been prepared and put into the fusion splicing machine. It will automatically align the fibers if they have been stripped and cleaved properly. Once aligned perfectly, one start button can be pushed to start the splice and the two fibers will be fuse spliced together in seconds.